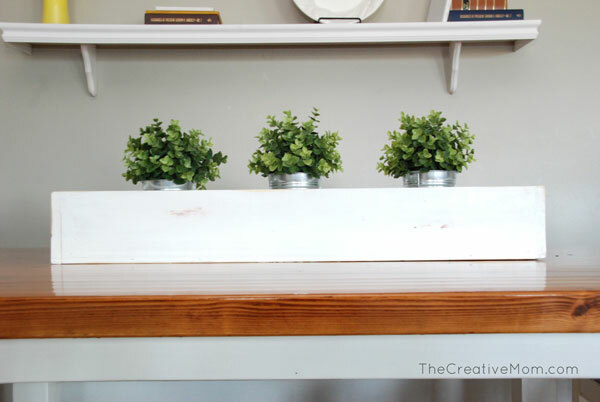 About a year ago, I built this awesome planter box I used as a centerpiece for my table. It looked amazing on Thanksgiving, all filled with candles and leaves. Oh, be still my soul! Still to this day, I love that planter box. 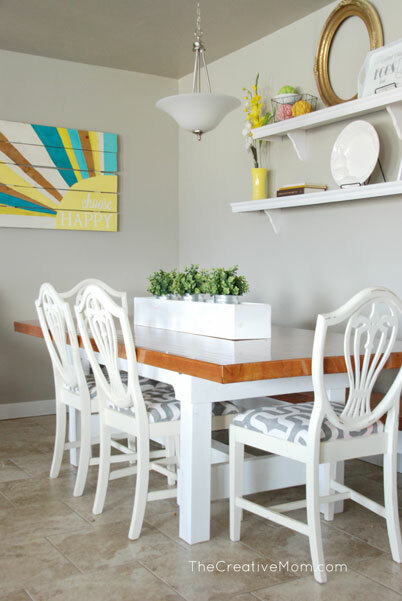 Last Christmas my husband built me a new farmhouse table, which is GORGEOUS!!! 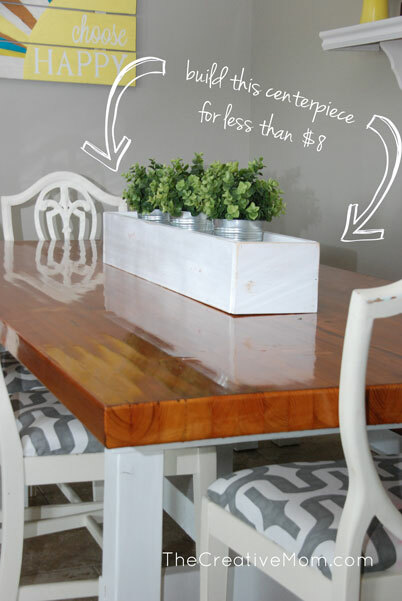 It’s got a beautiful, glossy wood top with bright white legs. The only problem with my new table is that the finish on the planter box and the finish on the table didn’t exactly go together. 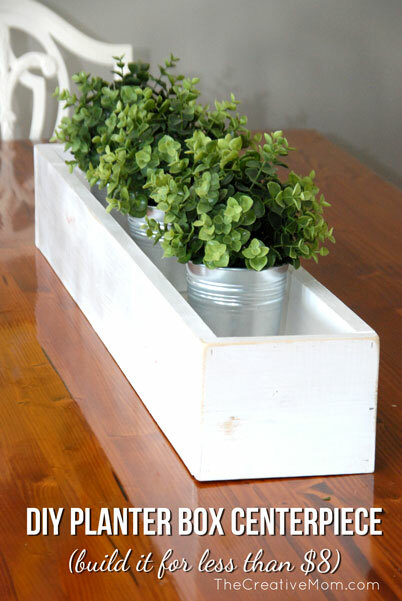 So, I decided I needed to whip up a brand new BRIGHT WHITE planter box centerpiece for my new table. And, you would never guess this baby only set me back a meager 8 dollars. EIGHT bucks, people! For the pop this centerpiece delivers, it was worth every penny (and more)! It looks beautiful on my brand new table. 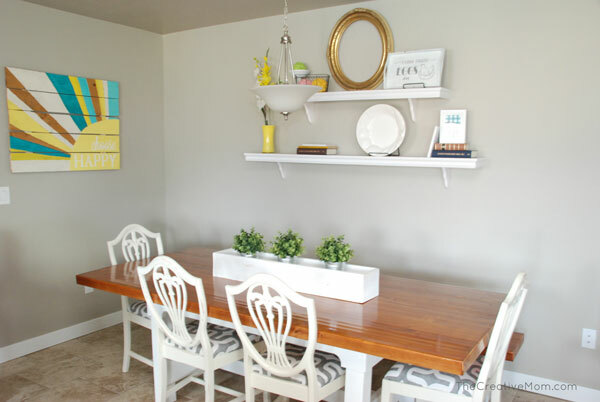 And since I used the same paint my husband used on the table legs, it matches perfectly. My Dining Room has a lot going on. It is a bit busy with everything on the cafe shelves and my pallet art, so I wanted to keep the contents of the planter box SUPER simple. I just stuck a few plants and pots from IKEA inside (fake plants of course!) and called it good. I love how simple and clean it looks. It really completes the entire dining room. 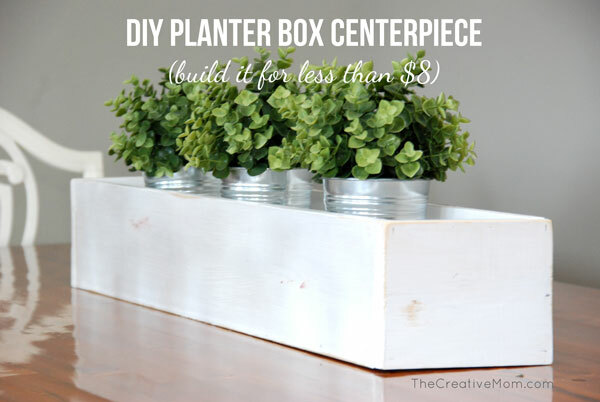 Would you like to build your own DIY Planter Box Centerpiece? 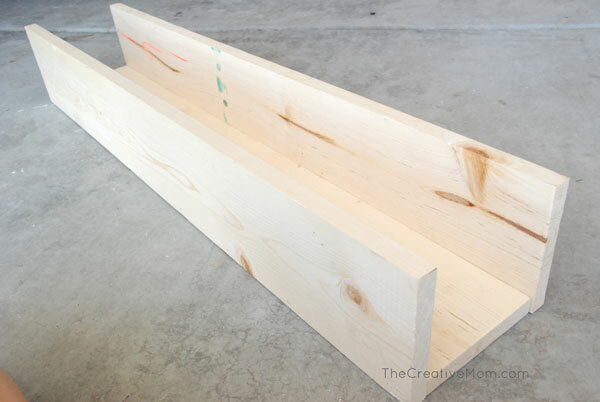 Set aside 3 boards for your bottom and sides of your planter box. 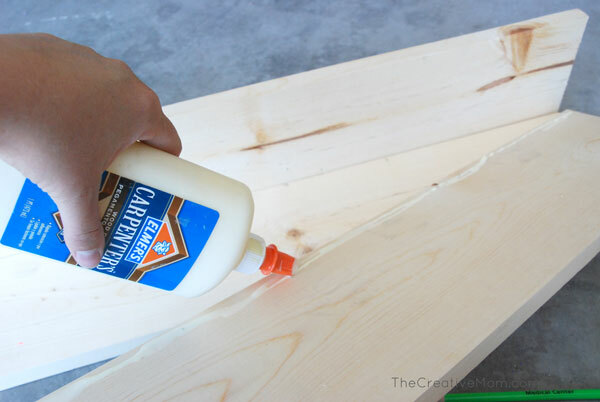 Use your 4th board, and cut the end pieces. You will need 2 pieces, 7 inches long. 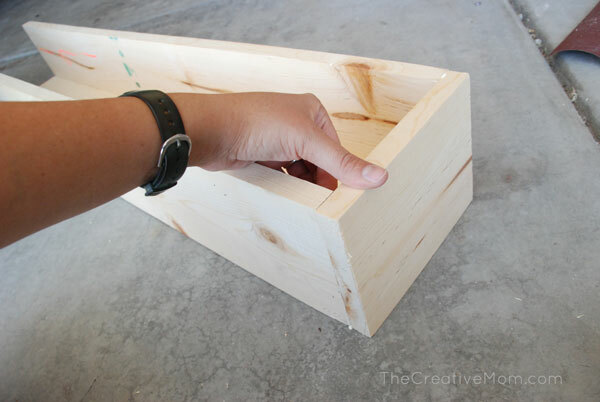 Run a bead of wood glue along the edge and start assembling your planter box. 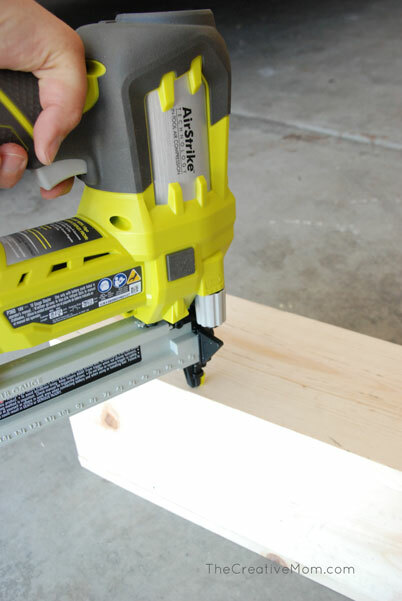 Secure each side to the bottom with your staple gun. After you’ve got your sides and bottom assembled, attach your end pieces. 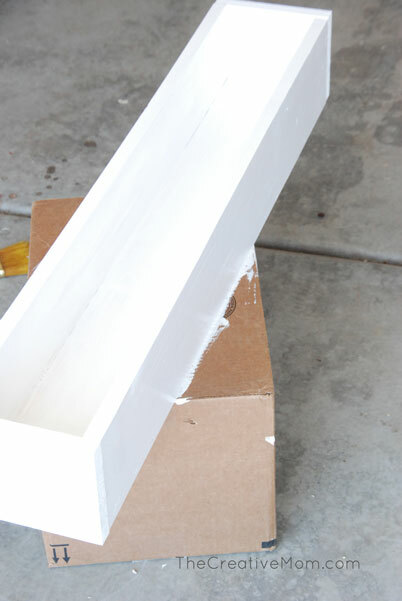 Run a bead of glue around three sides of the end piece, and staple it into place. And that’s it for the building part. You can putty your staple holes if you’d like. I didn’t, because I’m lazy, and I found that this staple gun doesn’t leave big holes. You couldn’t even see them once I painted. 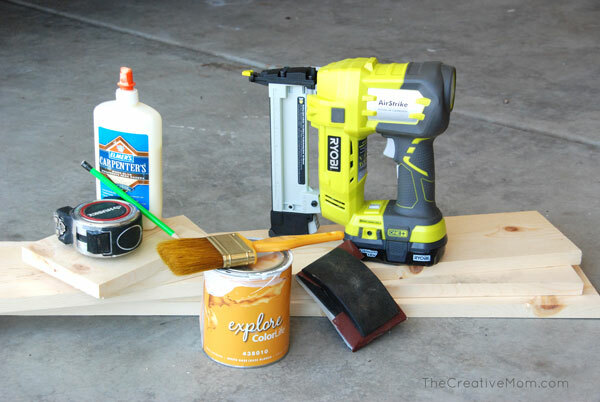 If you putty, let it dry completely and then sand. 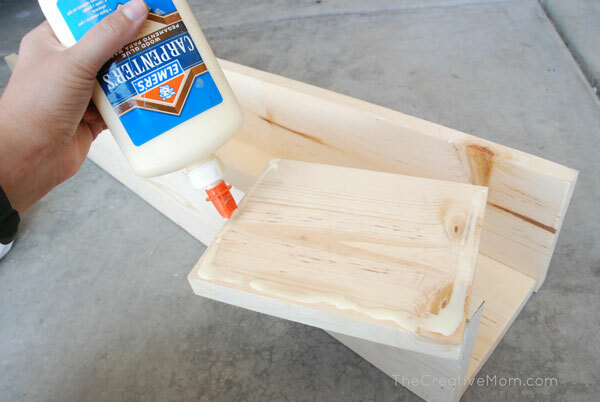 Or skip right to painting the box, or stain it like I did with my other one. I wanted a distressed look, so I sanded a few spots on mine after I had it painted and dry. All in all, this project probably took about half an hour. It was SUPER simple, and for only eight dollars, you can’t go wrong! The Creative Mom.com you are so CREATIVE!!!!!!!!!! Love you. Oh and your home is adorable. oh my gosh I love this! So simple and so adorable! It’s perfect! How simple yet so adorable!! I pinned this so I can make it for my table. Thanks for sharing!